Your wedding day is probably one of the most important days of your life, and of course you want it to be a memorable one, not just for you and your partner, but also for your families and friends. 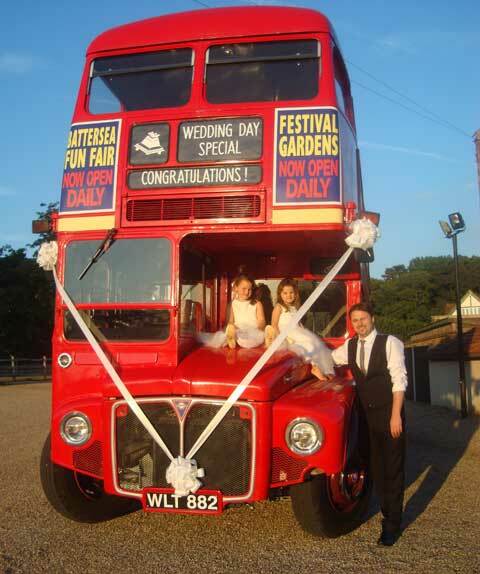 So what better way for your guests to travel than by bus! It can be a vintage RT or the icon of London, a Routemaster. 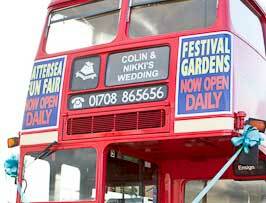 Maybe a modern open top bus would be more suitable? 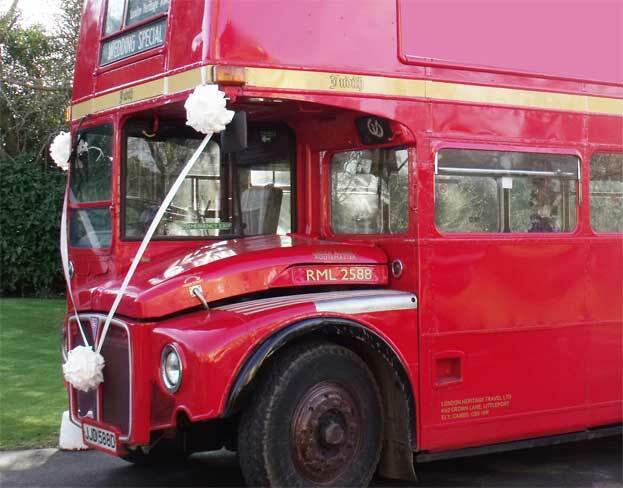 So why not ensure your guests don’t need to worry about congestion charges, bus lanes or parking and let us take care of the logistics to ensure that whether it’s a single pick up or multiple locations, you have one less thing to worry about. 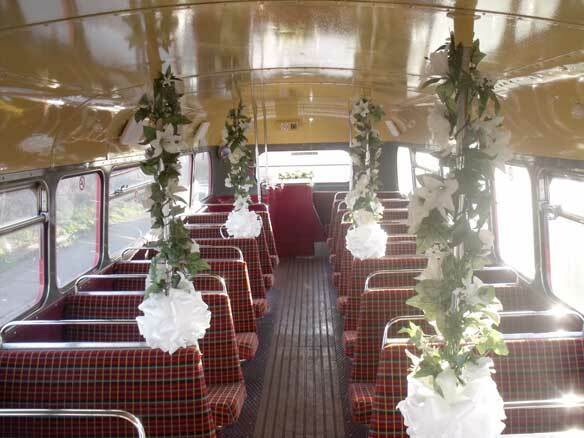 Whatever your taste and whatever your requirements… We have the bus for the occasion! 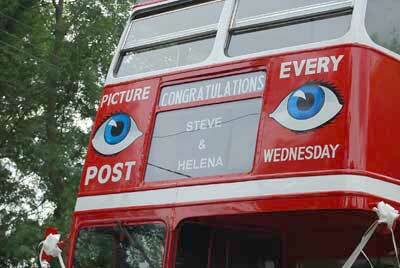 Although the bus looks amazing on its own, you might want to put some more final touches on the vehicle. We can help with all of that. 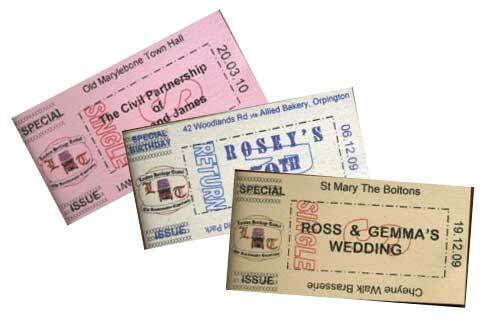 We can offer replicas of the original Routemaster tickets (3.5cm wide x 7 cm long) with your wedding details, date and journey information in a choice of pastel coloured card (pink, green, grey, cream, beige or white) for everyone on thr bus plus a few extra for your album. 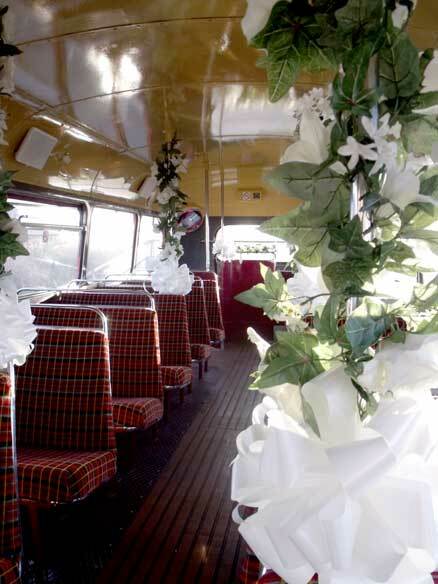 We can also include bows and garlands on the upper & lower decks to match your colour-scheme.